5 Things You Didn’t Know About Farms in B.C. 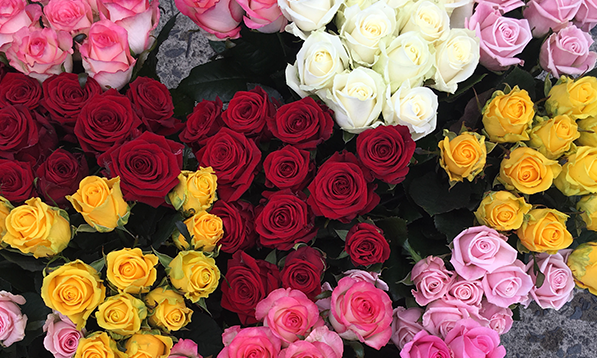 Did you ever wonder where your Valentine’s roses come from? Not far from the Butterfly Gardens on Vancouver Island, you’ll find Canada’s only commercial rose growers. Over the past 40 years, Eurosa Farms has grown a loyal following of local retailers and customers on the Saanich Peninsula, thanks both to their beautiful flowers and their thoughtful approach to their community. We talked with Sales and Delivery Manager Ryan Worsfold about how the multi-generational farm is moving into the future, thanks to more people making the choice to support local flower growers. WHL: How many rose growers are there in Canada? Ryan Worsfold: I think there’s really only one commercial grower left: us! I think there are some smaller guys here and there, but for the most part I think we’re the only ones left at this point. WHL: Wow! How do you keep your business sustainable? RW: We’re very fortunate that we have a community of people around that support local growers, not just in floriculture but with produce and other plants as well. I think there’s more of a keen awareness out here in BC that people do like to support local businesses more than anything. And then also the United Flower Growers auction has been huge, as far as using it as a distribution point for us throughout Western Canada and into Washington and Oregon as well. People being able to see us through UFG has really made a big difference in our business and I think that’s one of the main reasons why we’ve been able to be here. WHL: Can you tell us about what makes a locally produced rose different than an imported one? RW: As local growers, we take quite a bit of effort to make sure that we use as little pesticides as possible. Roses are tricky in that they require a lot of attention - they are a very difficult crop to grow. 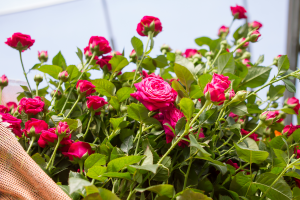 Each different variety of rose typically has their own requirements both for pesticides and also just growing conditions in general like lighting and heating. What we focus on is making an effort to shift to biological controls -- so for example we’ll bring in (good) bugs to eat the bad bugs. We also spray natural products on our crop to help limit the amount of synthetic pesticides that we use. 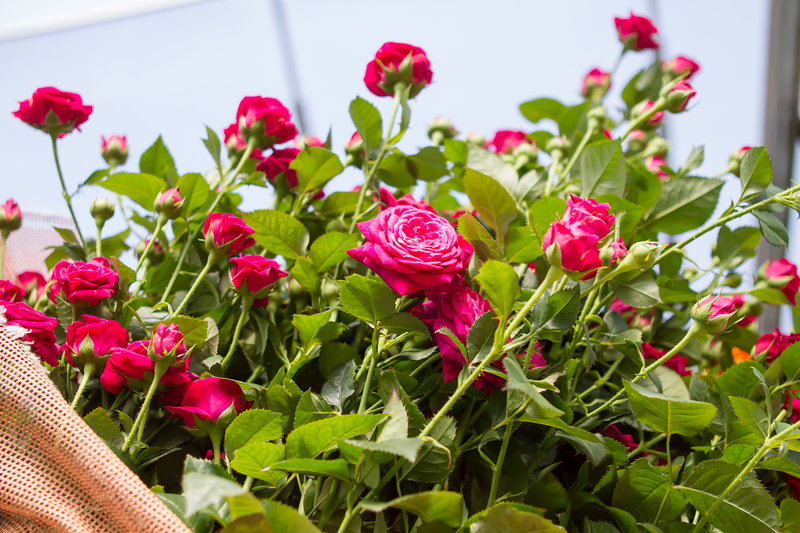 With imported roses quite often there can be questionable labour circumstances, and also questionable pesticide use - some products that would never be legal here. But we’re seeing a shift in the market from that as well where we’re getting into Fair Trade arrangements to make it sustainable for the communities where they’re growing those roses. It’s an improvement, but it still has a ways to go. WHL: Do you have any tips on how to support local flower growers for Valentine's Day and other special events? RW: I would suggest just asking! That’s how a lot of support is driven. 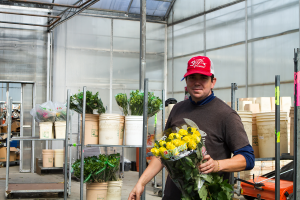 If the vendors know that there are people who are genuinely interested in supporting local growers, then they will source those flowers as well. WHL: What’s the next big holiday after Valentine’s for you? Is that Mother’s Day? RW: Yes. And then there’s International Women’s Day - that’s really starting to gain traction as well. I believe the tradition (of giving flowers for International Women’s Day) started with mostly Eastern European countries. It’s just wonderful - men go out and buy the flowers and hand them out to women, and so women end up coming home with an armful of flowers at the end of the day. It’s a really neat premise and it’s one of the few holidays that I think is really cool - well, that and Mother’s Day. Mothers do so much work, and we don’t do enough (to thank them). Ryan Worsfold (pictured above) with a bouquet of fresh Eurosa roses. WHL: Can you tell us a little bit about some of the rose varieties you carry? And are there any local flower choices (along with roses) that folks might consider for Valentine's? RW: We grow Gerber daisies and Ger-minies as well as Alstromeria, which are all staple flowers in flower shops. But predominantly, we grow roses and spray roses. We grow 18 to 20 different varieties at the moment. They’re all neat in their own way - that’s why we grow so many different ones. We are seeing an increase in people doing less traditional things, both at Valentine’s Day and for other holidays. The younger generation especially is really looking for some variety and something unique. So we have a new spray rose that’s called Sterling Sensation - it’s a beautiful lavender colour. And then we have one called Jumelia (pronounced You-meelia) that’s a white and pink bi-colour that seems to be quite popular, as well as our yellow Penny Lane, that’s beautiful as well. But for Valentine’s Day, it’s definitely going to be a big run on red. WHL: Can you tell us a little about the family nature of Eurosa Farms? RW: It’s our 40th anniversary this year! My father-in-law Hans Bulk came over from Holland and initially started working with his brother - there are a couple of brothers in Ontario that have operations still to this day, but he decided after a certain amount of time that he was going to branch out on his own. He drove across the country looking for a place that they could build their own greenhouses - my wife Nicole was maybe one year old at the time. And they eventually found Victoria! My brother-in-law Paul is the head grower and he’s going to be taking over as my in-laws are going to be retiring this year. And then my kids have started working here as well, so we’ve got three generations of people on the farm on any given day.